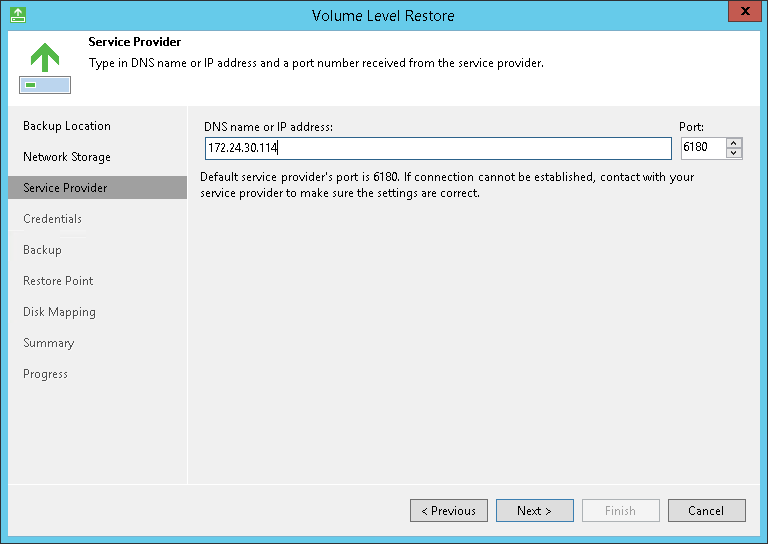 The Service provider step of the wizard is available if you have chosen to restore data from a cloud repository exposed to you by a Veeam Cloud Connect service provider. The Credentials step of the wizard is available if you have chosen to restore data from a cloud repository and specified settings for the cloud gateway. Verify TLS certificate settings and specify settings for the tenant account or subtenant account that you want to use to connect to the service provider. To verify if the TLS certificate with a thumbprint, copy the thumbprint you obtained from the SP to the Clipboard and enter it to the Fingerprint for certificate verification field. Click Verify. 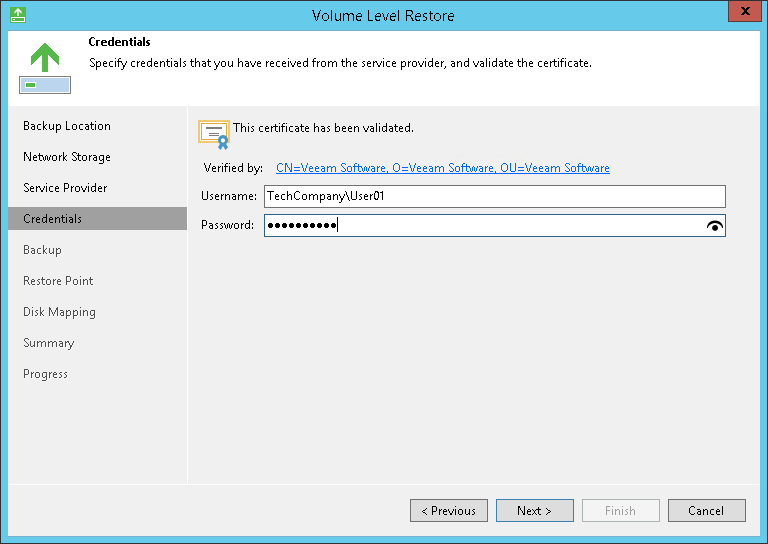 Veeam Agent for Microsoft Windows will check if the thumbprint you enter matches the thumbprint of the obtained TLS certificate.